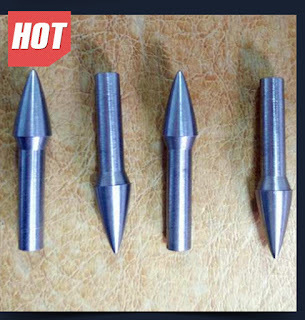 Tungsten alloy, also called tungsten for short, is used as a new lead-free small caliber core for national defense. Small caliber cores rages from 9mm to 0.50 caliber including 5.56mm, 7.62mm, 9mm, 0.38 and 0.45 caliber, etc., could be produced by tungsten mixtures metal with the same techniques used for the construction of lead-containing bullets but without any poison to environment. It is just as lethal as the standard core of 5.56mm without harming the environment. The day end the use of environmentally hazardous materials in small caliber cores for all ammunitions is coming. Besides, as a high density metal, tungsten is mixed with the binder such as nickel, iron, copper, cobalt, etc. to produce the components with controlled density and mechanical properties. Powder metal mixtures such as tungsten small caliber core is simply cold pressed to produce a high-density material with superior properties, e.g. high hardness, good ultimate tensile strength, excellent elongation, etc.